Education and training is one of the important activities of the Institute for Integral Yoga Psychology. 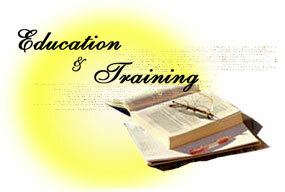 The focus of the education and training activities are two fold. Firstly, to educate and train professionals- psychologists, psychiatrists, social workers, counselors and others who are working in the field of mental health. Secondly, it stimulates students of psychology, psychiatry education, social work, counseling, social sciences, women's studies, physical sciences, ecology, architecture, arts, literature, theology, occultism, and other courses in Sri Aurobindo's psychological system so as to have applied value in their professional work. 1. To conduct training and awareness programs for professionals who are working in the field of mental health. 2. To conduct short-term and long-term training programs for students of psychology, psychiatry, social work, counseling and related fields. 3. To help and supervise institutes and universities to carry out education and training programs on Sri Aurobindo's psychological thought. 4. To develop education and training material on Sri Aurobindo's psychological system. 5. To collaborate with professional bodies to conduct education and training programs on Sri Aurobindo's psychological system. 6. To promote and develop the cause of Integral Education, specially its psychological foundation and to develop training programs for the same. 8. To provide online and web-based counseling, post graduate courses on integral yoga psychology, integral psychotherapy, integral well being, integral health, integral education social sciences and allied disciplines both in an autonomous manner and also in liaison with other education bodies. 9. To establish an university for the purpose of dissemination of knowledge, specially in the fields of consciousness studies, integral yoga psychology, integral psychotherapy, integral well-being, integral health, integral education and allied social sciences, psycho-ecology consciousness-based economics, and grant diplomas and professional recognition to the successful participants.